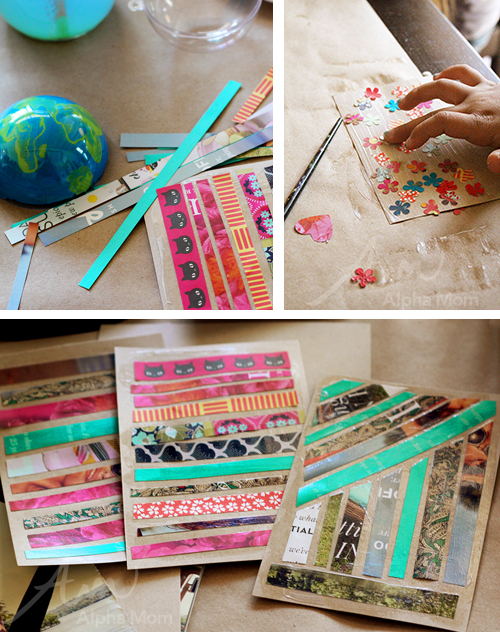 Earth Day Craft: Recycled Art Postcards! 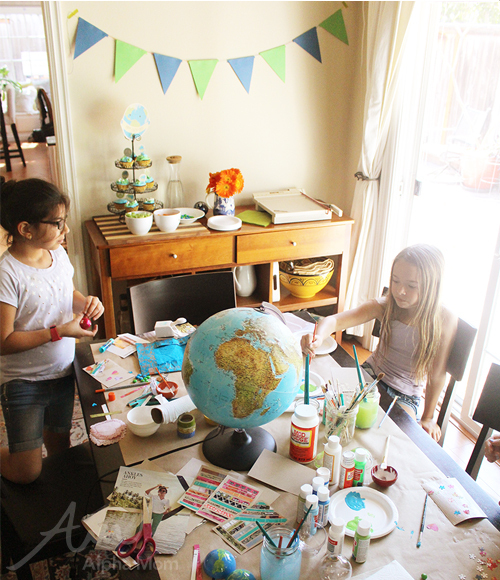 As you know, we recently put together an Earth Day-themed crafting party. 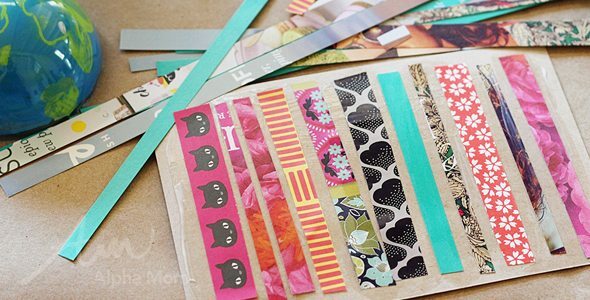 (We’re calling our crafting parties “crafternoons” now.) It’s easy, really. 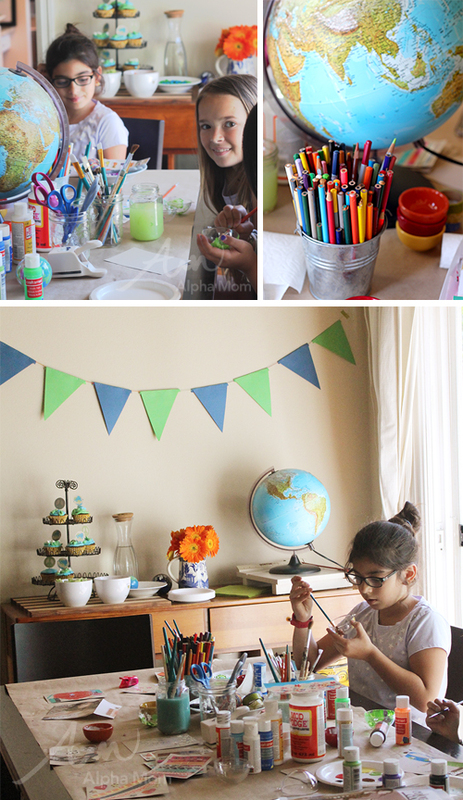 We invite some school friends, set up a table with a bunch of art supplies, make some snacks and then let the messy crafting begin! Two hours later friendships are strengthened, inside jokes are hatched and lots of crafting goes down. 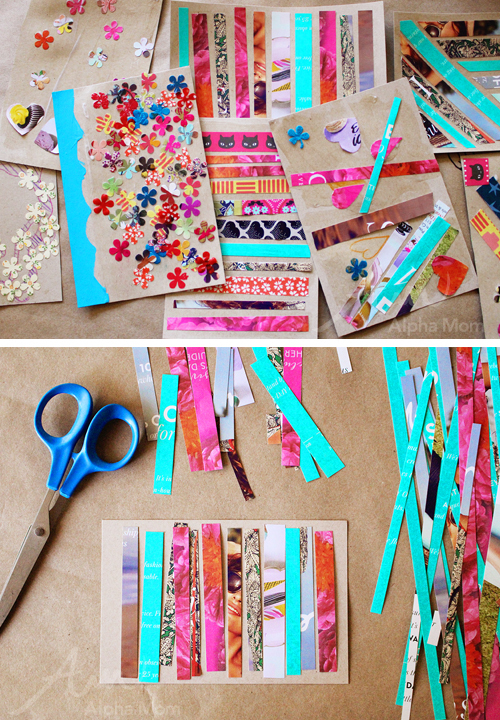 It’s a great way to while away an afternoon and create bonding for tween girls. 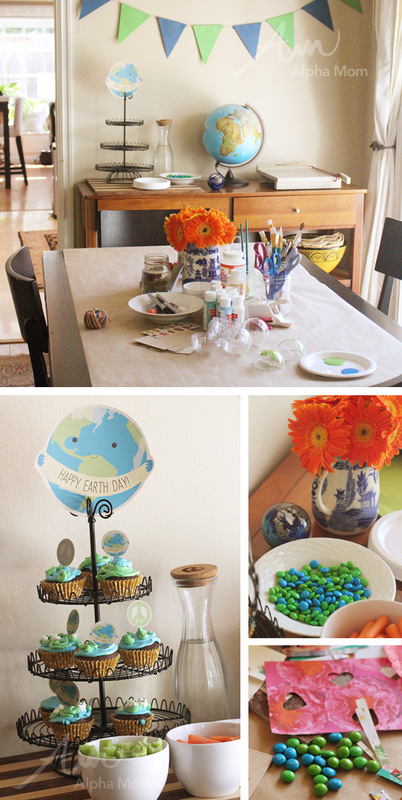 I always love a good theme so I baked up some Earth Day cupcakes, sorted out the green and blue candies from an M&M bag (because I’m crazy like that) and set the table with all the earth and globe related knick knacks I could find from around the house. I also covered the table in brown paper, which served as a table protectant and also gave the party a recycled, earth-friendly flair. We made two crafts during this party. Earth globe ornaments and recycled art postcards (see below)! I thought I’d share how we did each. 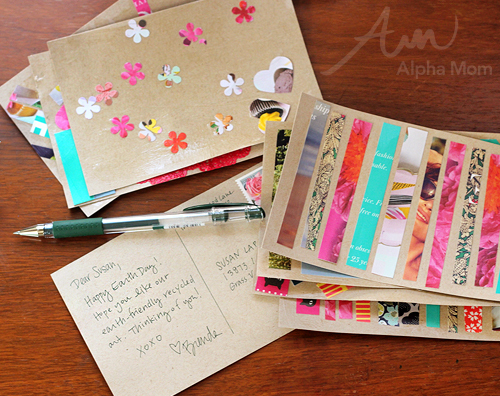 In this post I’ll explain how we made the recycled art postcards. I tend to hoard pretty catalogues that come in the mail. Not because I like to shop from them but because they make the best recycled art. The more colorful, the better. I keep them in a box on a shelf in my craft room just waiting for projects like this. One of my favorite styles of recycling art is a lot like quilting. I like to cut the colorful pages up into strips and then rearrange them into a pretty pattern, paying only attention to color and form and not what the original images were. I have a lot of Spring catalogs right now so these strips were exceptionally colorful and pretty. We also threw in some pieces of origami paper leftover from other crafts. I let the girls use my paper cutter (with close supervision), heart and flower punches and scissors to cut out their pieces. Then I let them have at it with a bottle of Modge Podge (or white glue) and a paint brush. First they lay out their cut pieces the way they liked them on a postcard (which is basically a 4×6 piece of recycled card stock). Then they removed the pieces and painted generous stripes of Modge Podge down onto the blank postcard. They repositioned the pieces back onto the postcard and then painted another layer of Modge Podge over the top, securing everything into place. The postcards did tend to curl a bit as they dried which is totally normal under such heavy decopauge-type conditions but it’s nothing that a little time under some heavy books couldn’t fix. Then when everything was dry we scrawled some Happy Earth Day messages onto the backs of our postcards and mailed them to our friends! There’s nothing like some good old fashioned snail mail to spread some cheer and remind people that sometimes it’s the little things that can make a difference when it comes to taking care of our planet.